Meredith Corporation (NYSE:MDP), the leading media and marketing company serving 100 million unduplicated American women monthly and more than 60 percent of U.S. millennial women, announced today a brand licensing agreement with Apparel Bridge LLC for SHAPE® Active, an activewear collection designed for women. This is the first licensing program announcement for the category-leading SHAPE brand, which was acquired by Meredith in January 2015. The moderately-priced collections are now available at DicksSportingGoods.com, kohls.com, and Equinox gyms, with many additional retail partners expected, including Amazon. 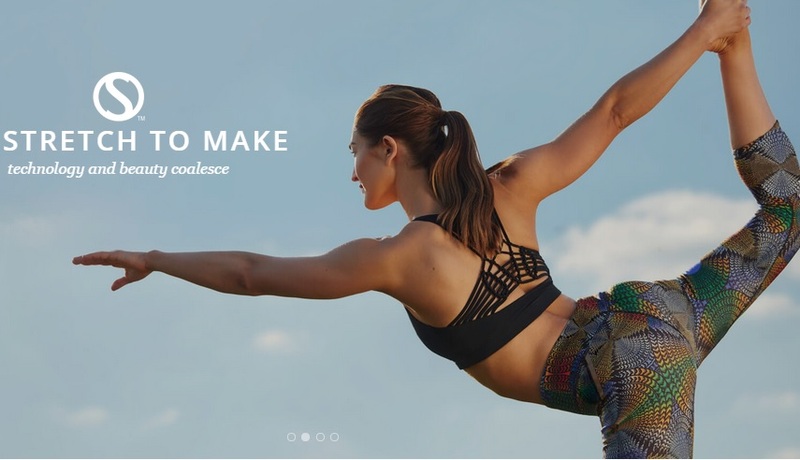 “We are thrilled to be selected by the SHAPE team to bring fashion-forward and feminine activewear to the marketplace. Our vibrant pieces reflect the personality and style of the iconic SHAPE brand,” says Sheena Mahtani, VP of Operations from Apparel Bridge. The designs are grounded in high performance materials with features including DryFuze(TM) to wick moisture, and reflective or glow-in-the-dark treatments. Each piece is figure-flattering, with details such as a signature S-curve seaming in tops, jackets and bottoms. The launch of SHAPE Active is just one of many programs announced by Meredith Brand Licensing in the past year, including the partnership between EatingWell and Bellisio Foods, Inc. on an EatingWell healthy frozen food product line. These launches build on Meredith’s already successful licensing programs, such as partnerships between Better Homes and Gardens and Walmart, Realogy and FTD, and Allrecipes’ partnership with Clipper Corporation on a line of cookware, bakeware and kitchen gadgets. For more information on SHAPE Active, and to view the collections, visit http://www.shapeactive.com/. Launched in 1981, SHAPE helps women achieve the best versions of themselves while understanding that healthy living is more than an endgame—it’s a source of personal joy and lasting reward. SHAPE magazine is published 10 times a year with a rate base of 2.5 million and an audience of 27 million, reaching women across all platforms, including the 8.5 million users on Shape.com and Fitnessmagazine.com, and through award-winning consumer events and innovative brand extensions. Apparel Bridge is backed by three decades of apparel and textile manufacturing excellence and is a one-stop apparel solution provider with a unique vertical model. They have been manufacturing apparel for the world’s largest retailers for 35 years, producing more than 400 million garments. They are a vertical operation and control every aspect of production from yarn to delivery in store. The seamlessly integrated supply chain along with strategic design capabilities provides them the competitive advantage and speed to market the industry demands. They employ a top team of material scientists to bring the newest technologies to apparel and to create fabrics from a mere vision. The team’s attitude towards transparency and traceability provides a complete picture of the ethical and environmental impact of their products. Apparel Bridge is relentless in their pursuit for excellence. Thank you for taking the time to read our fashion industry news. We hope that you have found this news to be informative. If you have comments or questions, please add your thoughts in the discussion area below.